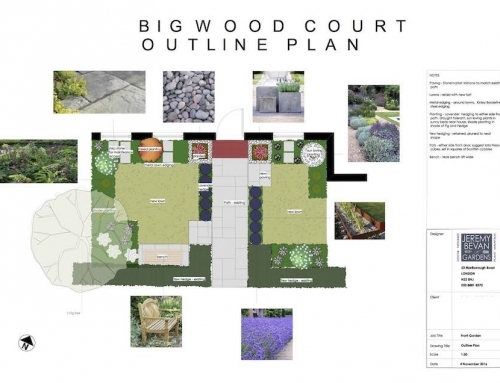 This is a long and narrow garden set at an angle behind a small terraced house. 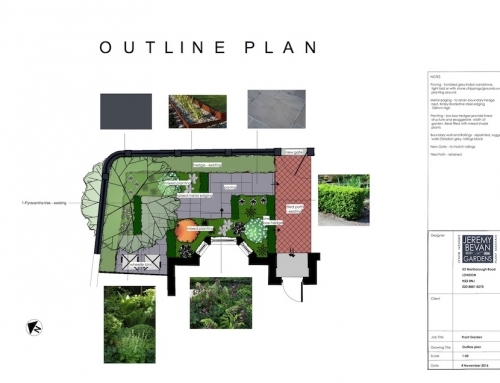 The main axis is tilted through 45 degrees and the garden is divided into several different areas, drawing the eye away from the long view and making the garden feel wider. 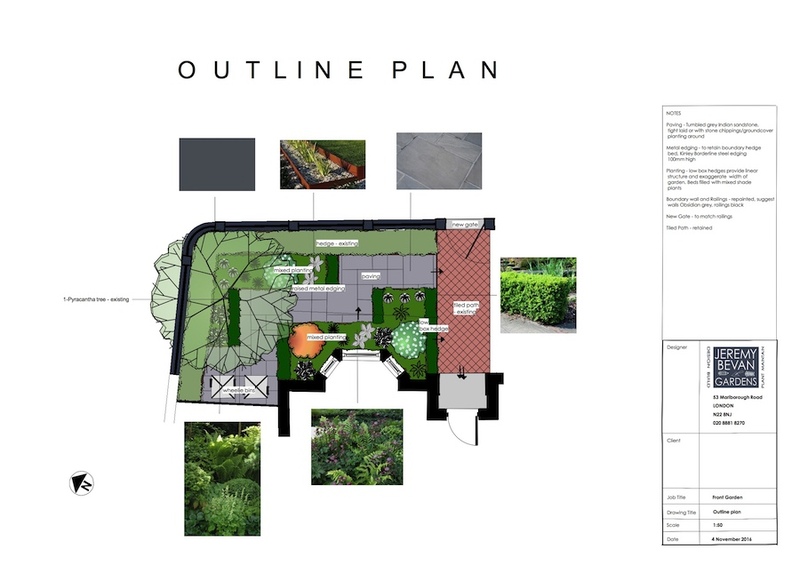 There is a paved seating and dining area near the house leading through the first of two lawns to a central, dividing pergola clad with climbers. The eye will then be drawn further down the garden towards a bench. 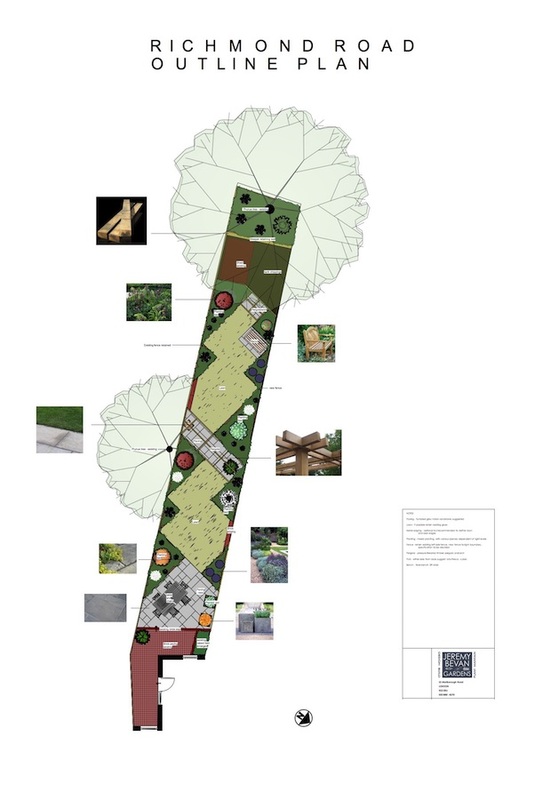 At the end, beyond a small arch and trellis screen is the ‘utility’ area with a shed and a bed around the large Cherry tree retained with a wall of timber sleepers. 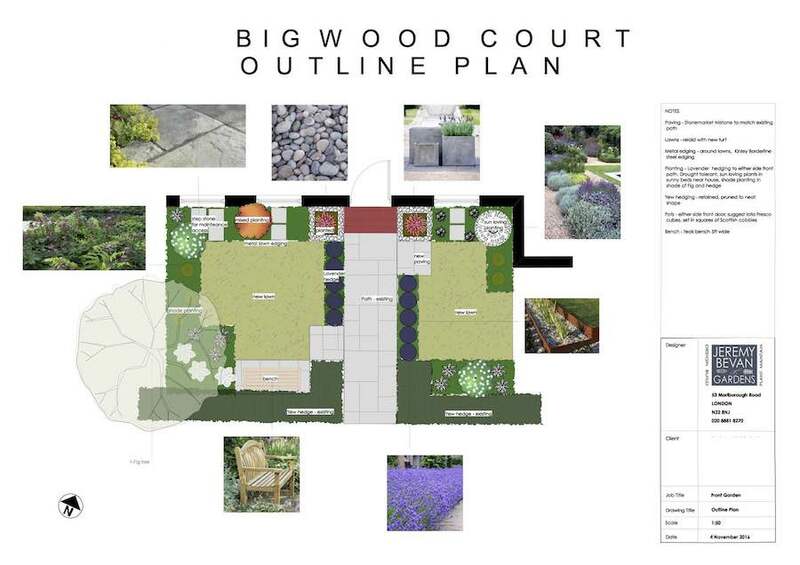 The generous planting beds which surround the paved and grassed spaces will be filled with a varied mix of climbers, shrubs, perennials, grasses, ferns and ground cover plants.